Richard has been involved in the aerospace industry for 45 years, serving as a member of the Royal Australian Air Force (RAAF) for 12 years, followed by 23 years with Boeing Australia. As the founding member of Boeing in Queensland, Richard set up the original office in 1990 and ran it out of his own house for the first four years. He held various engineering and management roles within the Company, mostly with F-111 programs, and was instrumental in developing an Ageing Aircraft Program for this aircraft, later adapting it to make it deployable to incoming fleets. He also chaired the annual ageing aircraft forums, held on behalf of the aerospace community. 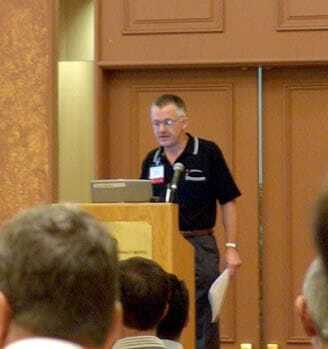 Following Boeing's discontinuation of the AA program in 2009, Richard continues to fulfil his passion for the AA cause as Chairman of the annual Aircraft Airworthiness and Sustainment (Australia) Conference, which interacts with the committee organising and conducting the US Conference of the same name, and includes an ongoing collaborative relationship with the US military and aerospace industry for mutual fleet benefit. With a RAAF background in avionics, Richard later studied Electrical Engineering and Business Management at the Queensland University of Technology, and has written and presented several papers in Australia and the US on Ageing Aircraft Management and Aerospace Leadership.